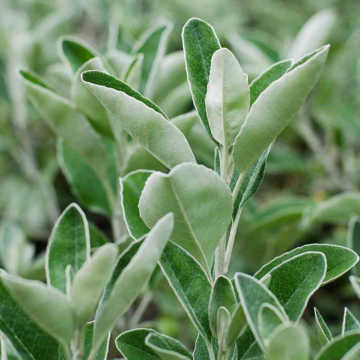 Our pot grown hedging range, most of which is UK grown, is extensive featuring both evergreen and deciduous species. There are many different height options available, usually several in each species and dependant on species they can range from 10cm to 2m. Being pot grown as opposed to field grown, the plants have benefitted from ongoing care and cultivation in their watering, weeding, feeding and re-potting when needed. As a result, when planted there is an excellent success rate as the roots remain cocooned and protected from damage by the pots until they are removed for planting. Pot grown plants have the added benefit of being able to be left in their pots for an extended period of time before planting as long as they are kept watered, which means planting can be done at your ot the weather's convenience! For more information on pot grown hedging along with our other root types, read our full Root Types Explained Guide. 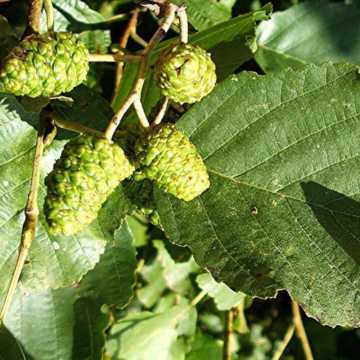 From £1.99The native Alder gets the glutinosa in its latin name from the stickyness of its buds and young leaves. 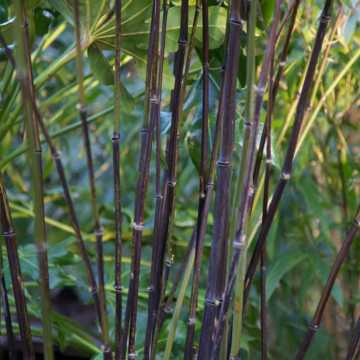 From £49.99Phyllostachys nigra (Black Bamboo) has striking black stems against green foliage make this a very popular variety. 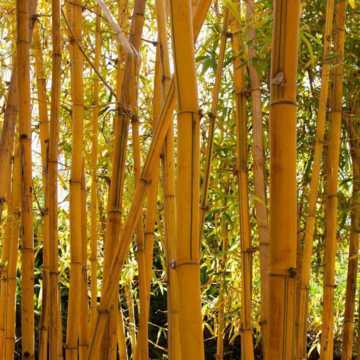 From £39.99Phyllostachys aureocaulis (Golden Bamboo) boasts sunny, golden yellow stems stand brightly amongst green foliage. 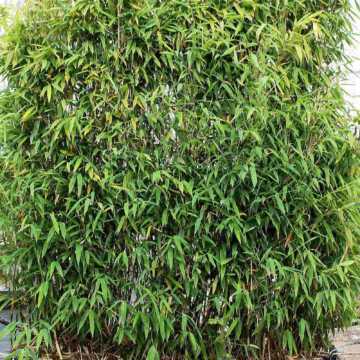 From £39.99Phyllostachys bissetii (Green Bamboo) boasts green stems which complement green foliage, offering year round interest. From £4.79Barberry Rose Glow is a lovely ornamental compact hedging plant boasting purple, pink and cream variegation. 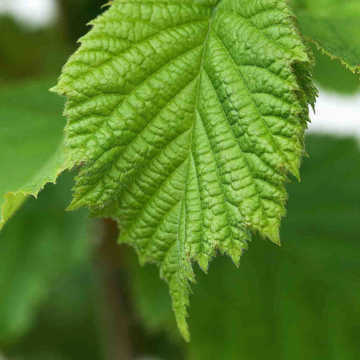 From £2.39Beech (Fagus sylvatica) is not grown for its flowers or fruit but for its superb foliage of delicate fluttery leaves with wavy edges, initially a gentle soft golden green, then bright green and finally coppery. 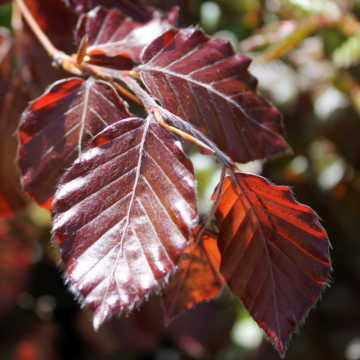 From £4.79Gorgeous Copper or Purple Beech hedging is the same in all respects as its green counterpart, Fagus sylvatica, other than that its leaves are darkly coloured in hues of purple and dark green from spring to autumn and then copper coloured in winter - a fantastic specimen hedge! From £4.79Berberis x stenophylla is a fast growing evergreen variety of Berberis which is very prickly. 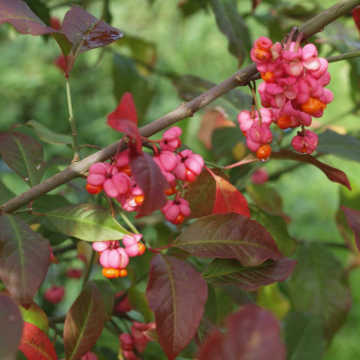 From £6.99Berberis Thunbergii's green foliage is deciduous, falling after turning shades of orange and red in the autumn. 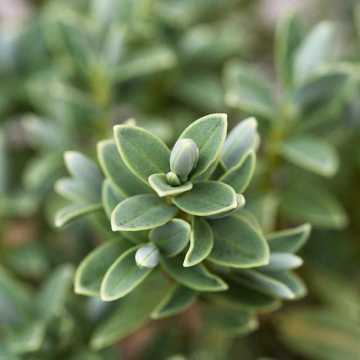 From £3.29The Box hedge plant (Buxus sempervirens) is the ideal species for formal low hedges or pathway hedging as well as being a classic topiary plant. 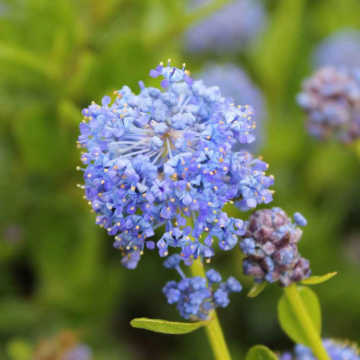 From £5.49Ceanothus is a lovely evergreen flowering shrub which has a good upright habit and can easily be trained against a wall or fence to form a hedge. 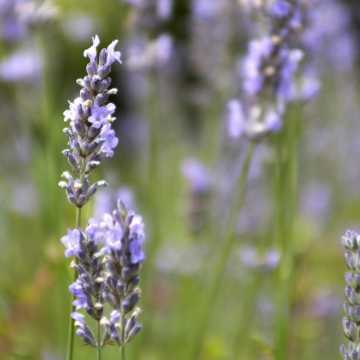 It is covered in lovely clusters of blue flowers from late summer through to autumn. 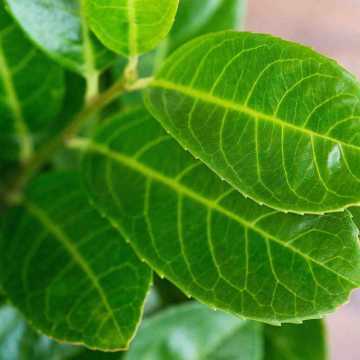 From £2.99The Common or Cherry Laurel is a vigorous, dense evergreen shrub with large, glossy, bright green leaves, which makes an ideal hedge. 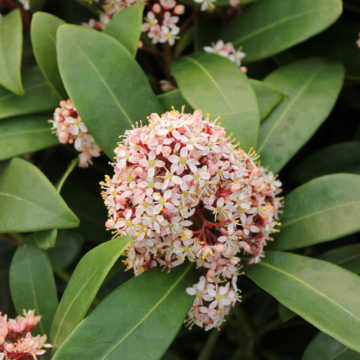 From £4.99Otto Luyken (Compact Laurel) has narrow dark green glossy upright angled leaves and in spring, pure white flower spikes with intense fragrance and red/black cherry-like berries in autumn. 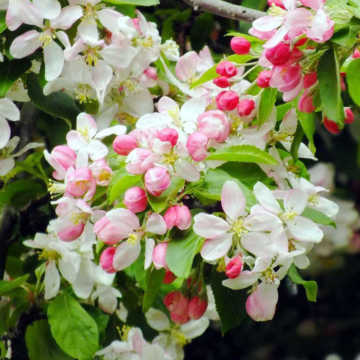 From £1.99Crab Apple is a gorgeous addition to any native hedge with its cup shaped pink flowers emerging from red buds in spring and crab apples for jelly (if the birds and squirrels leave any) after the first frost in autumn. From £5.99Daisy Bush is a really lovely evergreen flowering species suitable for informal hedging. 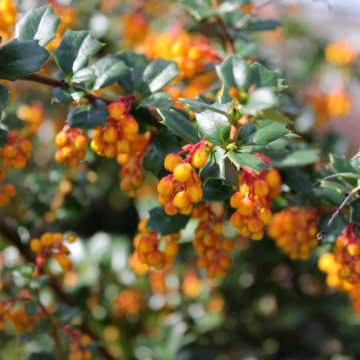 From £4.79This is a beautiful variety of evergreen Berberis with bunches of orange/yellow nodding flowers held on red stems in spring and small, dark green, prickly leaves. 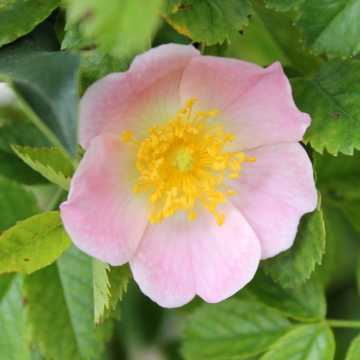 From £1.99Dog Rose (also known as Wild Rose or Wild Briar) is very prickly and with a scrambling habit so it forms (or can help to form in a mixed hedge) an impenetrable barrier. 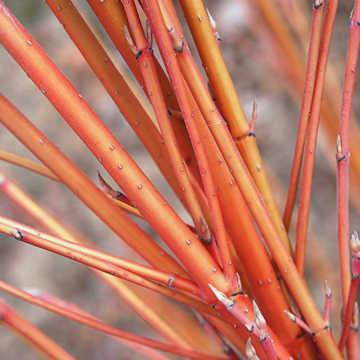 From £1.99Orange Dogwood or Cornus Sanguinea is mostly grown for its orange coloured stems that provides a bright flash of colour in autumn and winter. 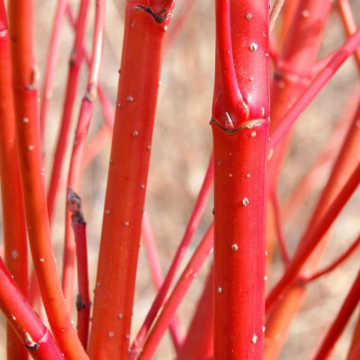 From £4.99Vivid Red Dogwood or Cornus Alba Sibirica is mostly grown for its vivid red coloured stems that provides a bright flash of colour in autumn and winter. 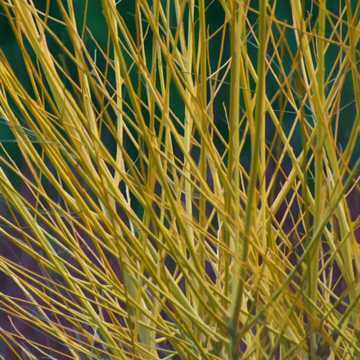 From £4.99Yellow Dogwood or Cornus stolonifera flaviramea is mostly grown for its yellow coloured stems that provides a bright flash of colour in autumn and winter. 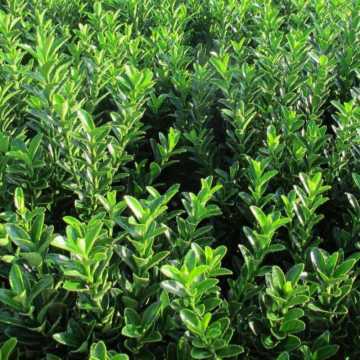 From £11.99Buxus sempervirens 'Suffruticosa'is ideal for very low-growing hedges and is a compact version of Common Box. 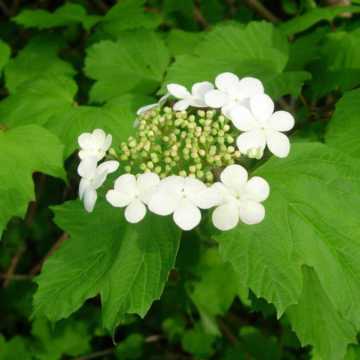 From £1.99Elder is a native, deciduous, fast growing plant suitable for mixed hedging or single species. 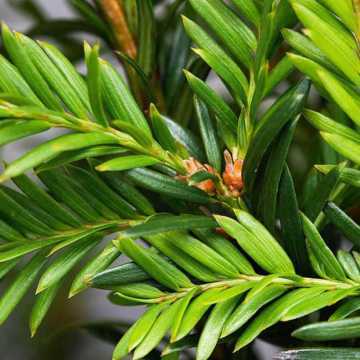 From £3.29English Yew Hedge (Taxus baccata) is the classic British conifer hedge plant, called the King of Hedges. 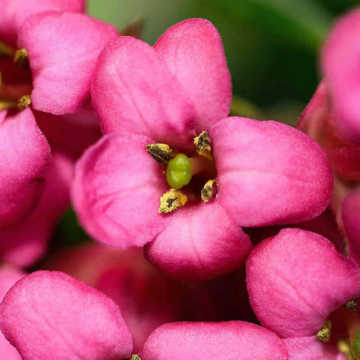 From £4.99Escallonia Pink (Escallonia Donard Seedling) is a super evergreen shrub with dark green glossy leaves and masses of bright flowers from June to October. 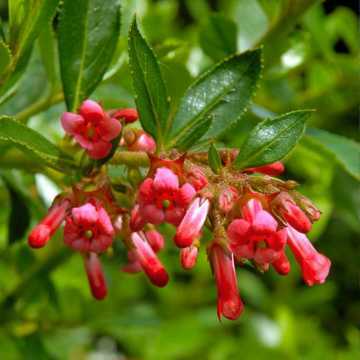 From £4.99Escallonia Red (Escallonia Rubra Macrantha) is a super evergreen shrub with dark green glossy leaves and masses of bright flowers from June to October. 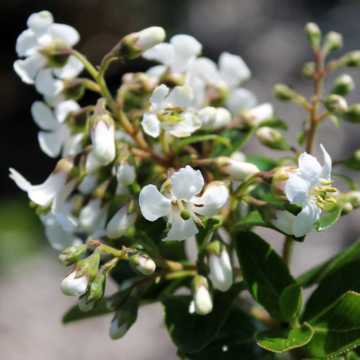 From £4.99White Escallonia (Escallonia Iveyi) is an super evergreen shrub with dark green glossy leaves and masses of bright flowers from June to October. 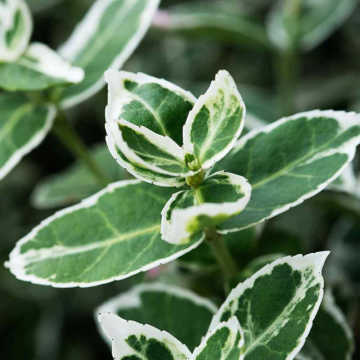 From £5.99Euonymus fortunei 'Emerald Gaiety' is a very useful compact variegated evergreen hedging shrub with glossy dark green leaves with white margins which turn pink/red in cold weather giving some welcome winter colour. 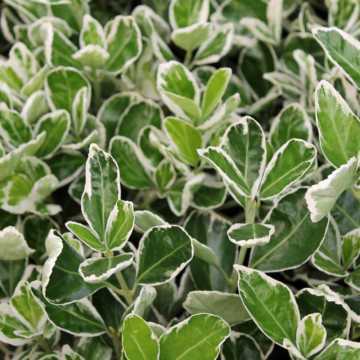 From £5.99Euonymus japonicus "Kathy" also known as Japanese Spindle Bush are super creamy white variegated evergreen hedging shrubs. 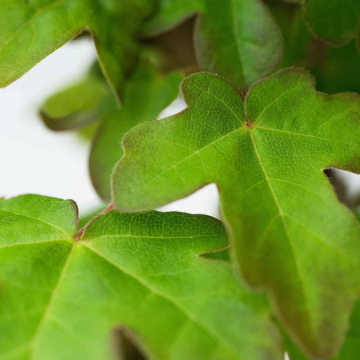 From £1.99Field Maple is a fast growing (30/60cm pa), native, deciduous hedging plant, which is used both in a mixed native hedge or as a single species hedge. 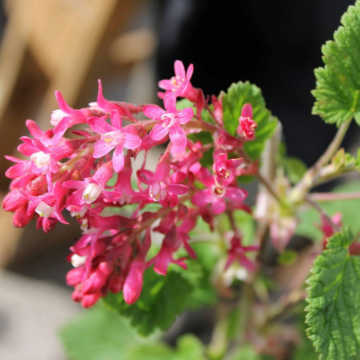 From £4.99Flowering Currant is great as a single species flowering hedge but also as a component in a mixed hedge. 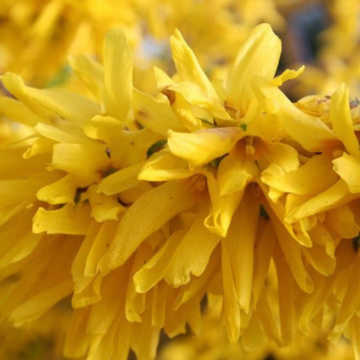 From £5.99Forsythia's profuse bright yellow flowers bring a lovely splash of Spring colour to the garden either as a single species hedge or as part of a multi-species hedge. 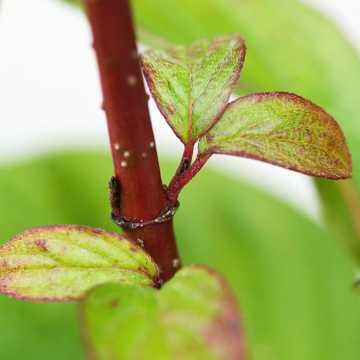 From £5.99Cotoneaster franchetii is an ornamental evergreen hedge, originating in Central Asia. 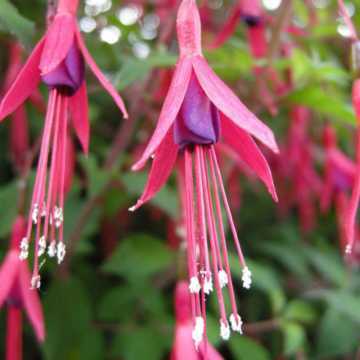 From £4.99Hardy Fuschia is popularly planted for hedging and it does indeed make a great hedge in milder parts of the country. 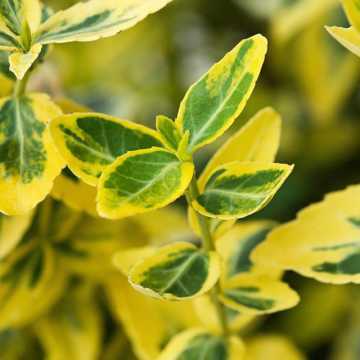 From £5.99The Golden Privet hedge plant is a widely grown semi evergreen, meaning that it is generally evergreen but may lose some or all of its leaves in very hard winters or coastal areas. 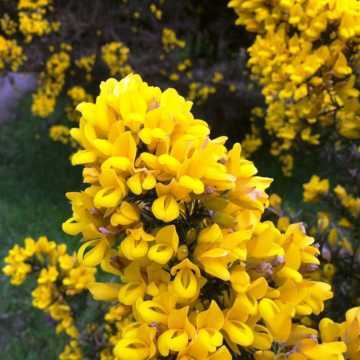 From £1.99Gorse is a brilliant native hedge with long prickly spines and an even longer flowering season. 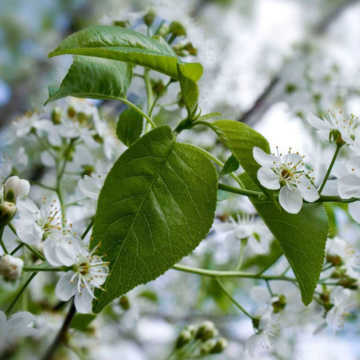 From £1.99Hawthorn (Crataegus monogyna) is a popular native deciduous hedging plant also known as Quickthorn, May Blossom, May Thorn or May Flower. From £2.39Hazel is a native deciduous hedging plant, suitable both as a component in a mixed native hedge or as a single species hedge. From £5.99This is a lovely form of Cotoneaster noted for its large berries. 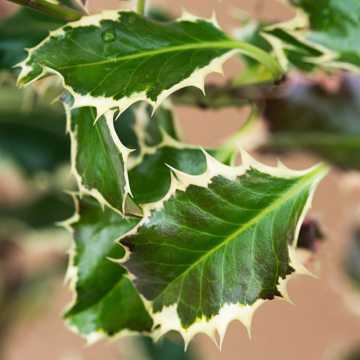 From £3.59English Holly is a beautiful and versatile evergreen, famous for its prickly leaves, red berries and attractive aesthetic. 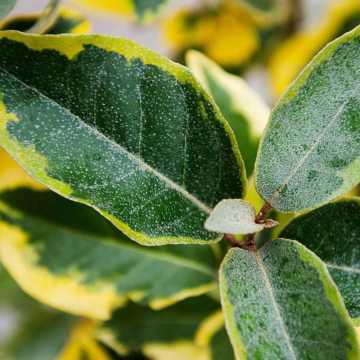 From £8.49This variety of Silver Holly has brightly variegated leaves with cream coloured margins. From £2.49Hornbeam is very similar to Beech (Fagus sylvatica) in appearance but its leaves have deeper veins. 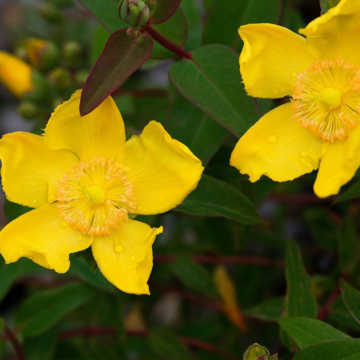 From £4.99Hypericum is a very popular evergreen, flowering, ornamental shrub suitable for low hedging (up to 1m in height). 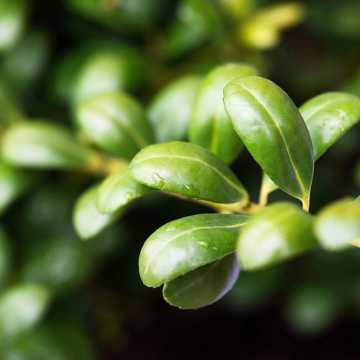 From £5.99Japanese Holly has dark green glossy small leaves and a smattering of white flowers in spring and insignificant, small black berries (poisonous) in autumn. 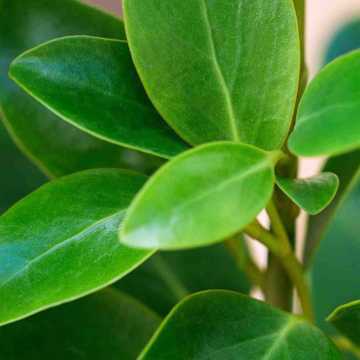 From £10.99Hedera Hibernica is an attractive Ivy, perfect for training along walls and fences. From £5.49June Berry (also known as Snowy Mespilus) makes a gorgeous addition to a mixed hedge. From £1.99Cotoneaster lacteus is a dark green, glossy leaved, evergreen hedging shrub with the benefit of both flowers and berries. 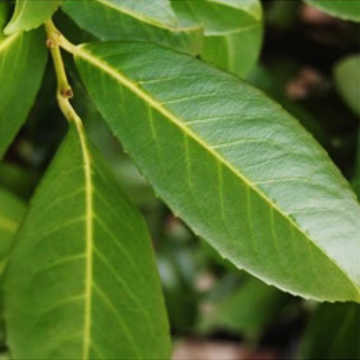 From £3.99Cherry Laurel Caucasica is a fast growing, evergreen hedging plant, very similar to Common Laurel. 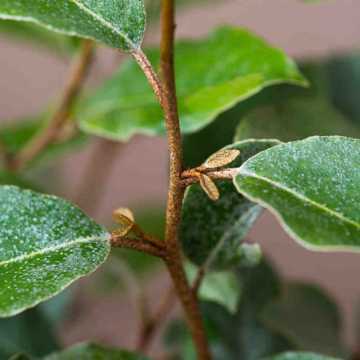 From £10.99Bay Laurel's (Laurus nobilis) aromatic glossy dark green leaves make it a beautiful plant for hedging, topiary or as a specimen. 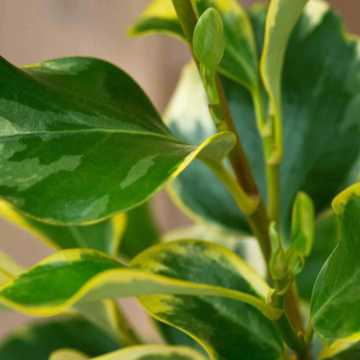 From £7.99A fantastic, dense, evergreen hedging plant, Prunus Laurocerasus Etna (often just called Prunus Etna) is popular for its dark glossy green foliage which is bronzed-orange when new. 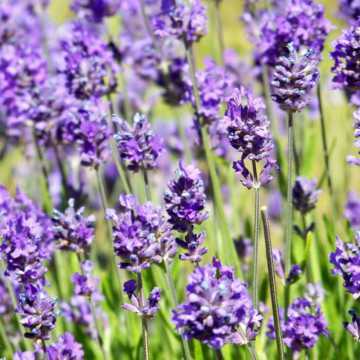 From £5.99Hidcote Lavender is a lovely variety of old fashioned English Lavender (introduced in 1950) but with dark purple flower spikes - stunning for large planting schemes. 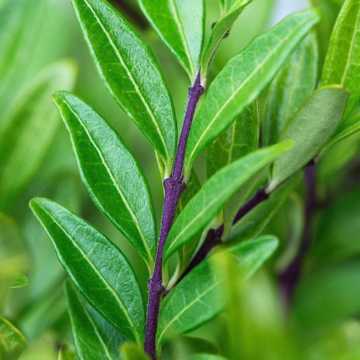 From £5.99 A beautiful, fragrant evergreen plant for compact hedges in contemporary design or traditional cottage displays. 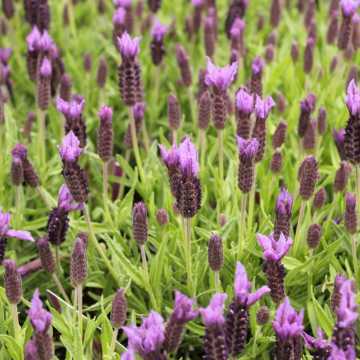 From £5.99French Lavender (Lavandula stoechas) has a long flowering period and distinctive due to its colourful bracts flower heads. 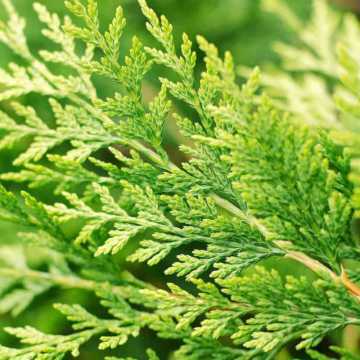 From £5.99This is a beautiful, fast growing, dense, evergreen conifer with yellow spray-like foliage. 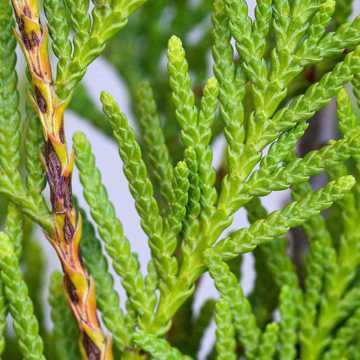 From £4.99Leylandii is the fastest growing hedge plant of all, growing approximatey 75-90cm a year! 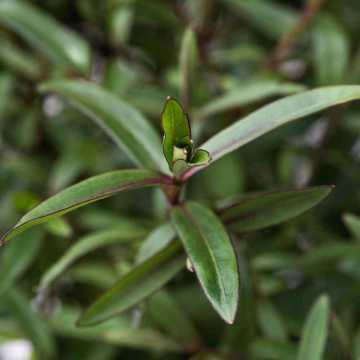 From £2.39This is a dense, bushy, fast growing evergreen and a very popular choice for those who want a medium height evergreen hedge (up to about 2m). From £5.99Lonicera nitida 'Baggesen's Gold' is a vibrant dense evergreen. 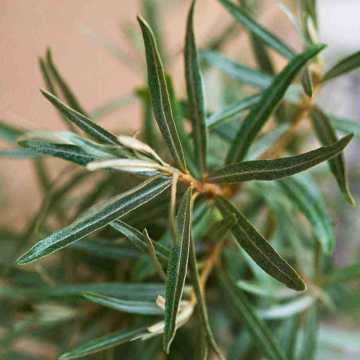 Its colourful foliage is pale yellow in summer which turns to a warm bronze in winter. 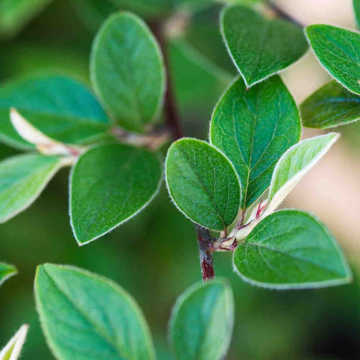 From £4.99Lonicera Pileata is a dense, bushy, fast growing evergreen with a spreading habit. 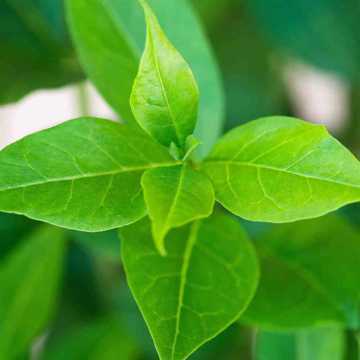 It has small, glossy, leaves held on angular, almost horizontal branches reaching a maximum of 1.5m. 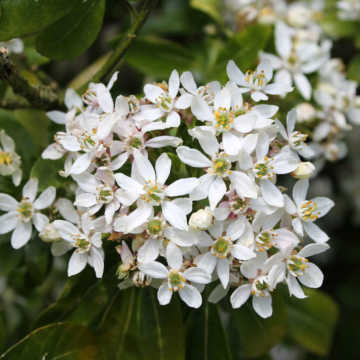 From £4.99Mexican Orange is a fantastic fragrant evergreen shrub with star shaped white flowers when in bloom. 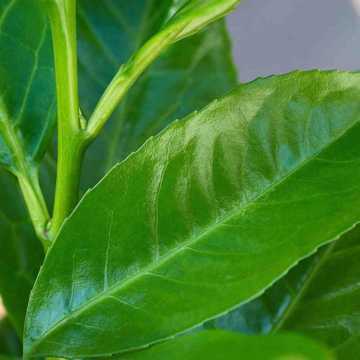 From £6.99Griselinia is a dense evergreen hedge plant with soft, glossy apple green leaves on soft green stems. 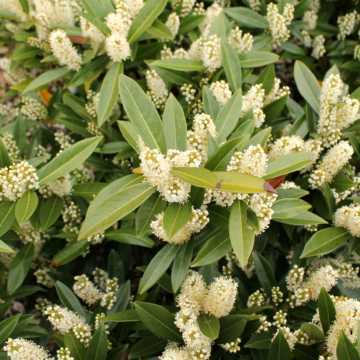 From £5.99One of our favourites, Oleaster is a tough evergreen shrub, with small but highly scented creamy white flowers in autumn followed by small orange fruits in spring. 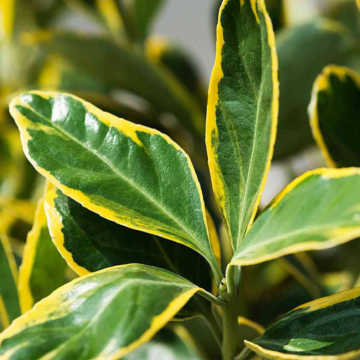 From £8.39This hedge plant is ideal for bringing some colour to shady areas due to the splash of bright yellow edge to the leaves. 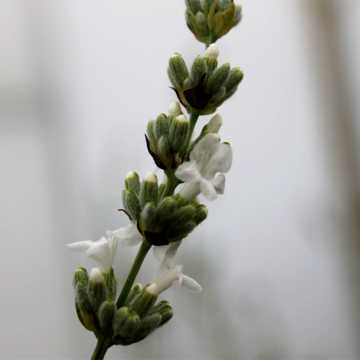 It has beautifully fragrant creamy white flowers in autumn. 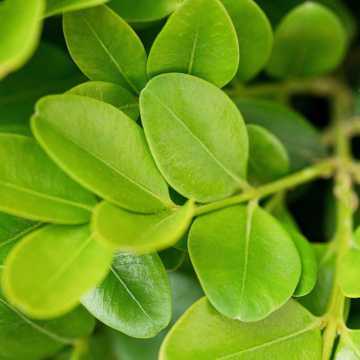 From £8.99This hedge plant is ideal for bringing some colour to shady areas due to the splash of yellow and lime green, which develop on the foliage. 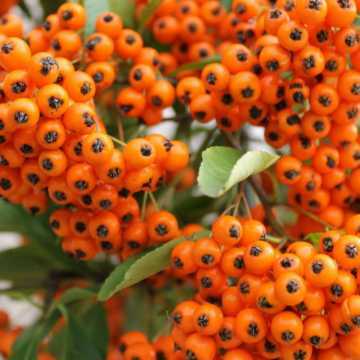 From £5.99Orange Pyracantha is a beautiful and colourful hedge as well as being dense and spiny to stop intruders. 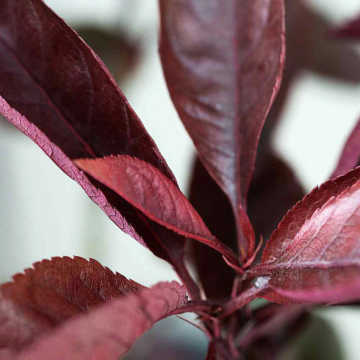 From £5.99This is a compact and slow growing version of the really popular evergreen hedging plant Photinia x fraseri Red Robin, and is great for hedging at about 1m height. 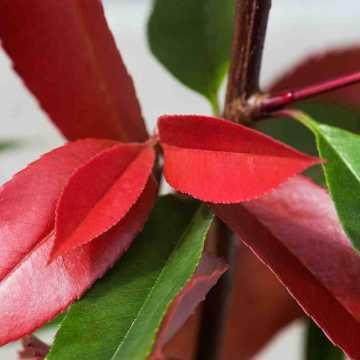 From £6.99The Photinia Red robin hedge plant (Photinia x fraseri) is a marvellous alternative choice for an evergreen hedge because of its brilliant red glossy young leaves, which give a spectacular display in spring and summer before maturing to dark green. 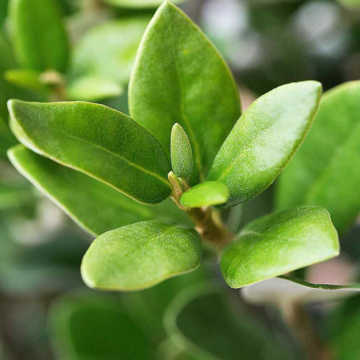 From £15.99This evergreen shrub with its distinctive rounded shape and attractive leaves will give year round foliage. 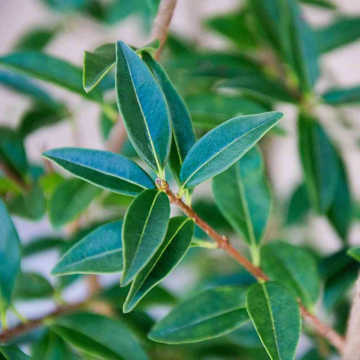 From £15.99Pittosporum is an attractive dark shrubs with black stems holding delicate mid-green foliage. 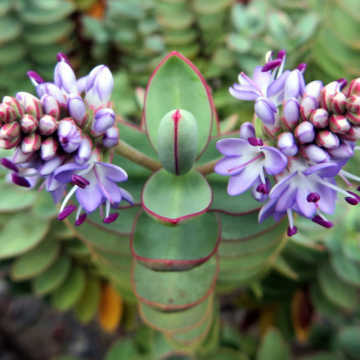 In spring small purple flowers are produced and this shrub can be used in a mixed border or you can grow it as a single tree. 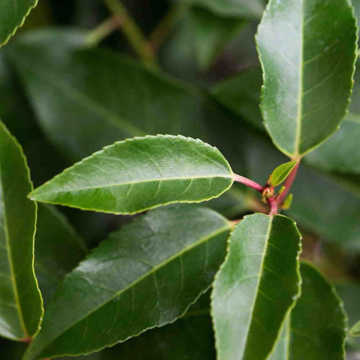 From £2.39Portuguese Laurel (Prunus lusitanica Angustifolia) boasts luscious dark green, pointed, glossy leaves on striking deep pink or maroon stems. 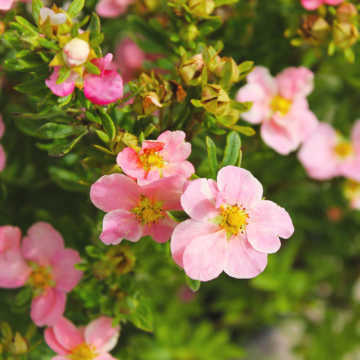 From £4.99Pink Potentilla is a long flowering and hardy shrub that provides a beautiful display of pretty, small flowers from June to October. 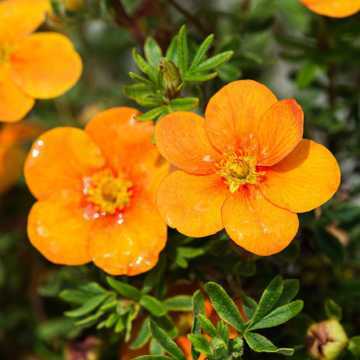 From £4.99Orange Potentilla is a long flowering and hardy shrub that provides a beautiful display of pretty, small, orange flowers from June to October. 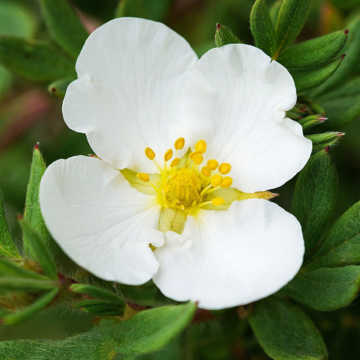 From £4.99White Potentilla is a long flowering and hardy shrub that provides a beautiful display of pretty, small, white flowers from June to October. 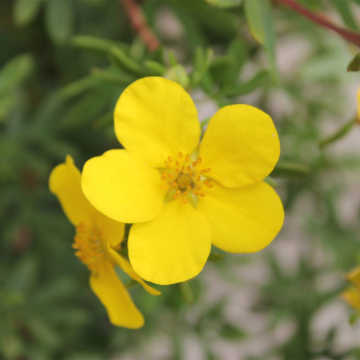 From £4.99Yellow Potentilla is a long flowering and hardy shrub that provides a beautiful display of pretty, small , yellow flowers from June to October. 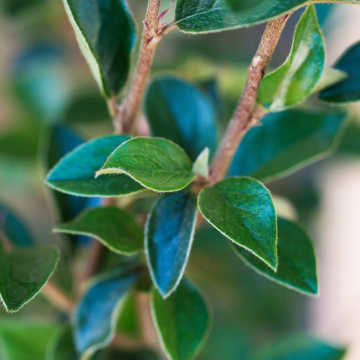 From £5.49Privet is a widely grown evergreen/semi evergreen, meaning that it is generally evergreen but may lose some or all of its leaves in very hard winters although it shoots right back again in Spring. 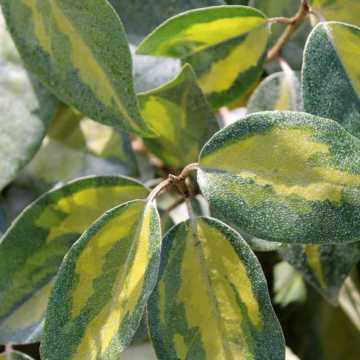 From £1.99Wild Privet is a very popular semi evergreen/deciduous variety (it will lose some leaves in frosty weather). 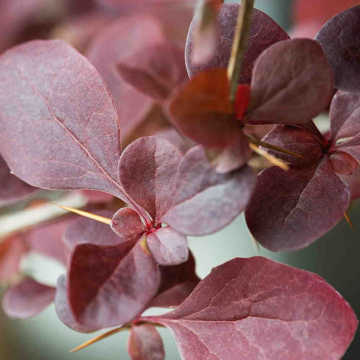 From £4.99This highly colourful shrub features white/pink flowers in early spring with vibrant red-purple leaves that last until the autumn where they gradually turn to a lovely green/bronze colour. 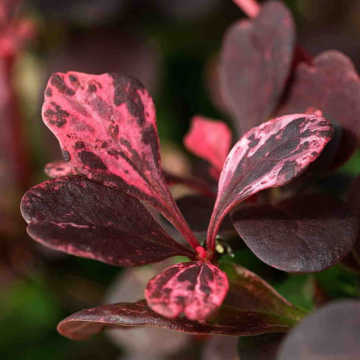 From £4.99Berberis Thunbergii atropurpurea (Purple Berberis) boasts beautiful dark purple foliage with yellow flowers that produce deep orange berries in autumn. From £4.79Berberis Red Leaf (Berberis ottawensis x Auricoma) is a fast growing, very prickly hedge, ideal for deterring intruders. 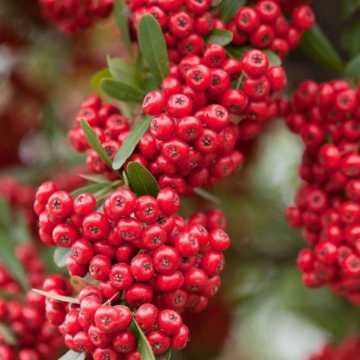 From £5.99Red Pyracantha is a beautiful and colourful hedge as well as being dense and spiny to stop intruders. 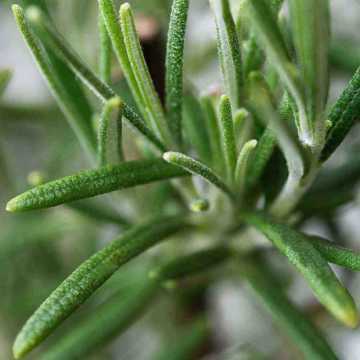 From £5.99Rosemary is an evergreen herb with very aromatic narrow green leaves (used in cooking) and masses of pale blue flowers which can come as early as February if the plants are sited in a sunny, sheltered position. From £5.99Sea Buckthorn is a native, ornamental prickly dediduous hedging plant, commonly found in coastal positions but which also does very well inland, even in very cold positions. From £8.39Skimmia is a lovely plant suitable for compact (0.5-1.5m) ornamental hedging or indeed as a specimen shrub in its own right. 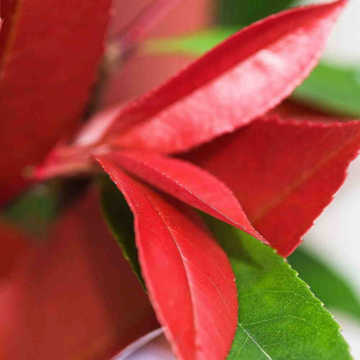 From £11.99This is a super compact evergreen shrub with pretty leaves which are edged in gold and which turn pink/red in cold weather giving some welcome winter colour. 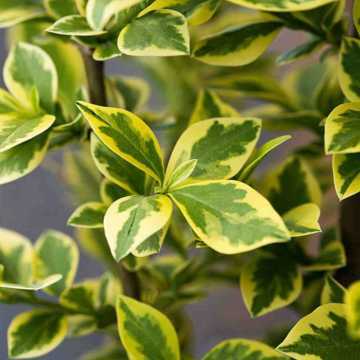 From £7.49Euonymus japonicus 'Jean Hugues' is a dense, compact shrub with lovely evergreen foliage. 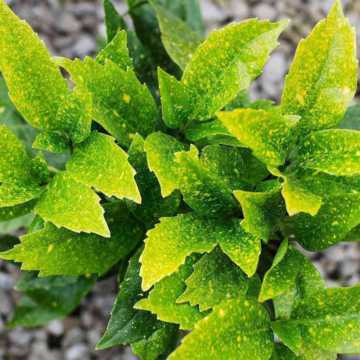 From £6.99Spotted Laurel (Aucuba japonica crotonifolia) is a terrific evergreen hedge with glossy, thick, dark green leaves with yellow spots and bright red berries from late summer to early spring and small maroon flowers in spring. 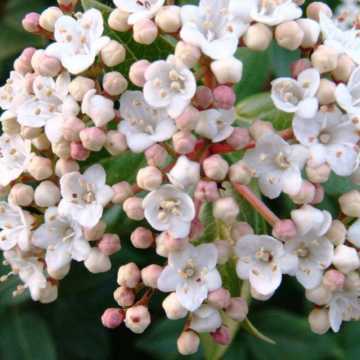 From £8.99Viburnum davidii is a small spreading evergreen shrub, with deep green, leathery leaves. 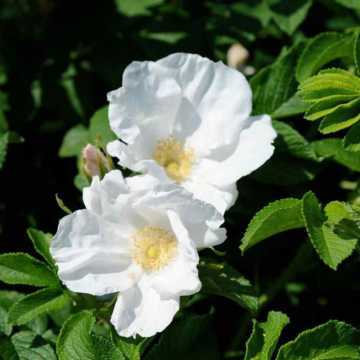 Flattened heads of small dull white flowers produce in May and long-lasting metallic blue-black berries grow in autumn and winter. From £2.39Guelder Rose has something for every season but perhaps its most attractive feature is its juicy, transluscent red berries from September onwards (and sometimes earlier) which stay on the plant until after its leaves have dropped. 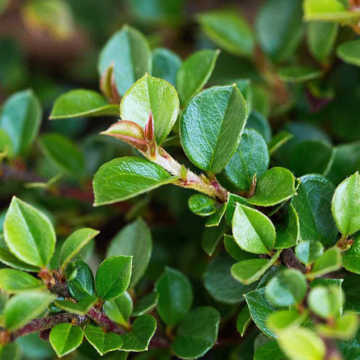 From £5.99Cotoneaster horizontalis is a super plant to use where a hedge is required to cover a wall or fence and will grow upwards to a height of about 1.5m if trained upwards rather than horizontally. 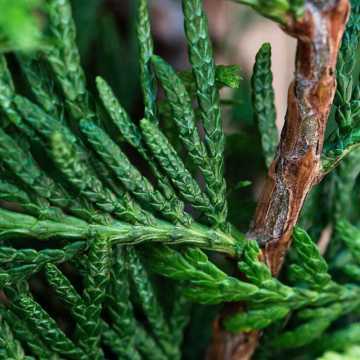 From £3.19Western Red Cedar (Thuja plicata) is a great alternative to Leylandii hedging, as it is slower growing but still provides a dense, evergreen, conifer hedge. 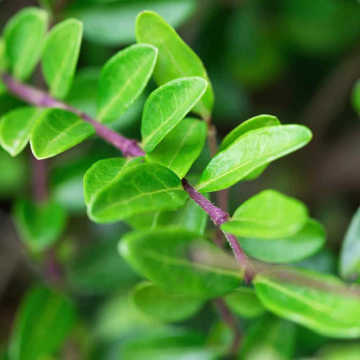 From £5.49Berberis Julianae is one of the evergreen Berberis varieties and has particularly long, strong thorns so it's ideal as an intruder proof hedge. 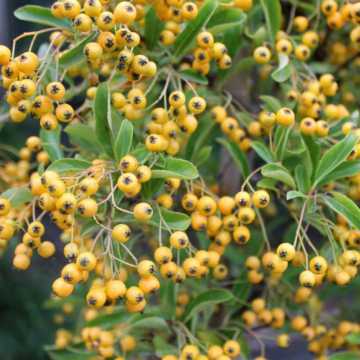 From £5.99Yellow Pyracantha is a beautiful and colourful hedge as well as being dense and spiny to stop intruders.